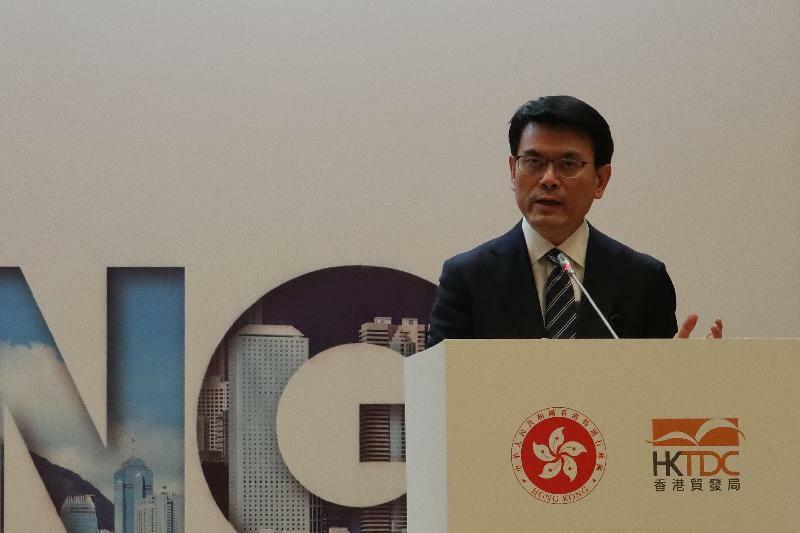 The Secretary for Commerce and Economic Development, Mr Edward Yau, in Tbilisi, Georgia, yesterday (March 18, Tbilisi time) emphasised Hong Kong's strengths as a key business matching platform for Georgian enterprises seeking and forging strategic partnerships. 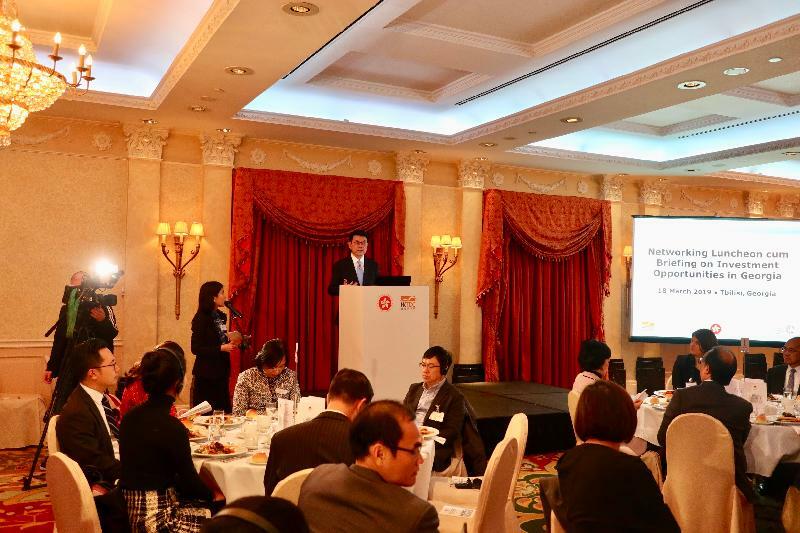 Speaking at a seminar and networking dinner entitled "Hong Kong IN: Exploring New Business Opportunities", Mr Yau said that given Georgia's prime location at the crossroads of Asia and Europe and Hong Kong's edge on various fronts including in having a deep pool of professional talents, Hong Kong and Georgia enjoy a wealth of opportunities to further strengthen connections and achieve synergy under the Belt and Road Initiative. 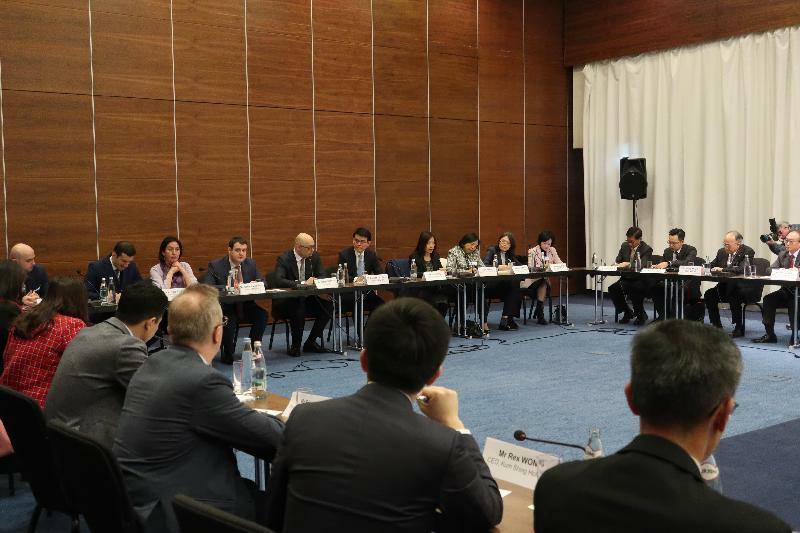 Co-organised by the Hong Kong Special Administrative Region Government and the Hong Kong Trade Development Council, the seminar was one of the highlights of the three-day visit programme to Tbilisi by a Hong Kong and Guangdong business and professional delegation. It attracted the attendance of over 100 local business leaders and representatives of chambers of commerce. "Hong Kong and Georgia share a vision in becoming trading and logistics hubs between East and West in Asia and the Caucasus respectively. Our partnership particularly on this front can allow us to complement each other in capitalising on our traditional strengths, realising our vision, and co-benefiting from new opportunities under the Initiative," Mr Yau said. "Hong Kong has a deep pool of world-class talent in maritime and logistics services, engineering, architecture, surveying, urban planning, accounting, law, consulting, etc, who are well versed in cross-border deals. With ample experience in planning, implementing and managing international projects, and resolving legal matters and business disputes, our professionals can certainly provide high-quality services, and contribute valuable business knowledge across regional and international boundaries to Georgia," he added. He further pointed out that Hong Kong and Georgia have enormous prospects for further bilateral trade under the Initiative. The Hong Kong-Georgia Free Trade Agreement signed last year entered into force this February. It gives Hong Kong better access not only to Georgia's market, but also opens the door to the vast markets in the greater Eurasian region, and all the way into Eastern Europe and further. With Hong Kong's unparalleled knowledge of the Chinese market as well as Asian consumer needs and tastes, Hong Kong can help Georgia's exporters promote Georgian products to emerging markets in China and other Asian countries. 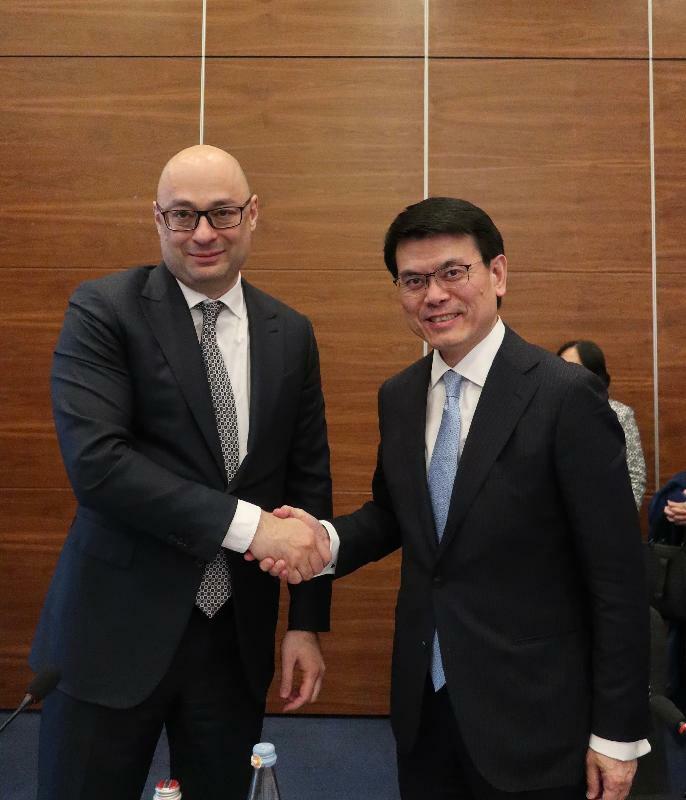 Prior to the seminar, Mr Yau met with the Minister of Economy and Sustainable Development of Georgia, Mr George Kobulia, to learn about Georgia’s latest government policies and economic development plans as well as the overall investment and business opportunities in the region. In the afternoon, the delegation attended a briefing on investment opportunities in Georgia, where they were briefed on the latest infrastructure projects and co-financing opportunities in Georgia. Mr Yau will continue his visit in Tbilisi today (March 19, Tbilisi time). He will meet with the Chinese Ambassador to Georgia and senior government officials of Georgia, and lead the delegation to visit some development projects in Tbilisi.